(QAU) Quaid-I-Azam University Web-mail hacked by Indian Hacker! Pakistan and India have been fierce rivals in the various fields. Cricket and war have been the most noticeable of them all. Now a third field is rising very quickly. Yes! You guessed it right. Technology is another area where these two nations are competing fiercely for the past few years, very silently though. 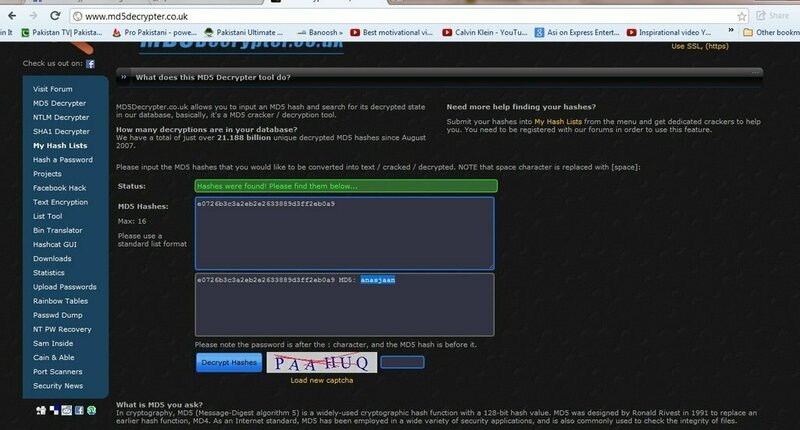 Various stories are spread on internet where Indian hackers hacked Pakistani key websites. In retaliation, Pakistani hackers did respond and hacked Indian official websites. But this story is something new. Now actually an educational website of Pakistan’s leading educational institution has been hacked. 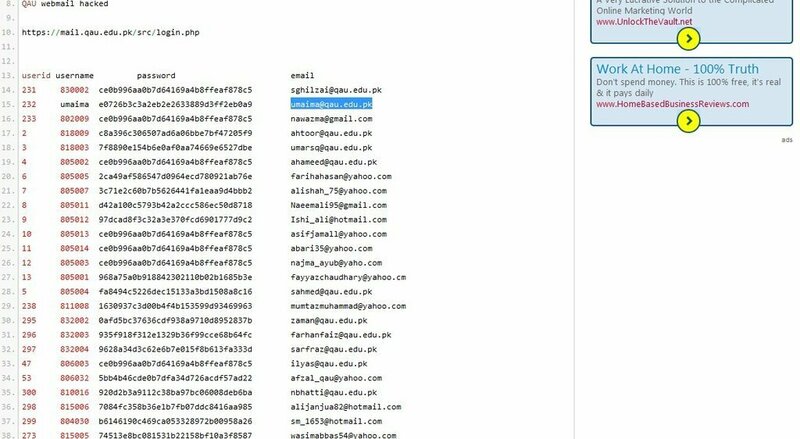 Quaid-e-Azam University (QAU) webmail has been hacked by Indian hacker and the interesting part is that the hacker has shared the usernames and passwords with general public. For the time being when this article is being written, you can have access to the official email addresses of the staff and can get their cracked passwords from the source specified by Indian hacker. In the following pictures, a proof is given so that you might know that this indeed has happened and this raises a huge question on security threats our educational institution’s official websites are vulnerable to. The data in the emails might not be of much importance to people like us, but the way it is exposed can give voice to many controversies and it can raise many doubts in the minds of the people. People might become reluctant to use webmail as their security can be breached easily. Furthermore other websites must keep their security tight in order to be safe from such incidents otherwise the data will be leaked publically and many controversies can arise.